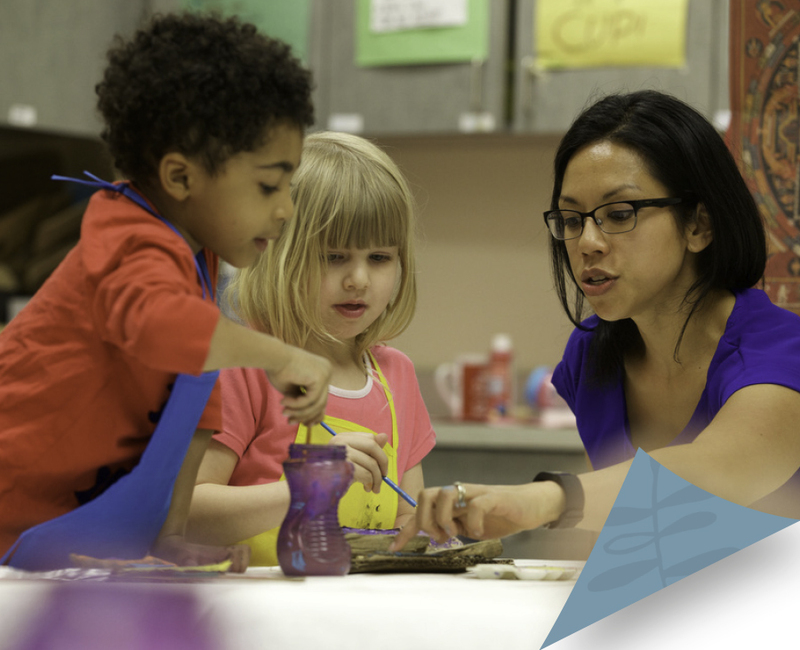 Combining a unique academic program tailored to gifted learners with an equally important international travel and global language component, Midtown International School certainly stood apart. And at just three years old, MIS already enjoyed full enrollment because of an incredible parent-to-parent referral network. The school’s entrepreneurial leaders, however, knew they needed to move beyond subsistence to sustained growth—especially because plans to open a high school were already under way. As a young school in the old-guard Atlanta market, MIS needed to match its academic innovation with equally sophisticated positioning, honoring the intentionality of their program with how they told their one-of-a-kind story. I have had so many teachers and parents tell me this partnership with CRANE left them feeling re-invigorated as advocates for the MIS mission. The marketing and Promise Statement are doing their jobs very, very well. Our team embraces it, our community feels it, and we certainly live it every day. 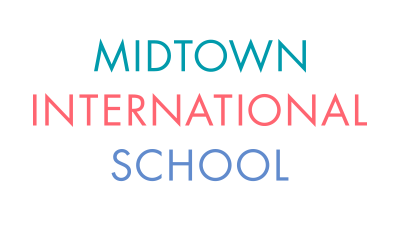 Just three years into its existence, Midtown International School was by all accounts thriving. 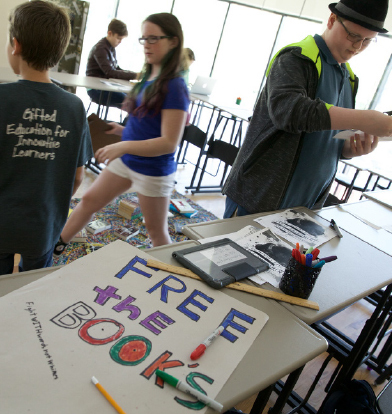 A K-8 school for gifted children with a focus on global languages and travel, MIS was fully enrolled, had secured funding to move into a more spacious building, and had plans to expand to upper school the following year. Instead, MIS need to match the intentionality of the school’s amazing program with an equally evocative and differentiated story. Our CRANE team’s visit to MIS revealed a vibrant school in full relief—amazingly dedicated teachers learning alongside students whose passion for discovery, invention, and intellectual stimulation shone brightly on every face. We quickly realized that MIS represented a golden opportunity for gifted students: A stimulating creative environment where they could be themselves without fear of being bored. In such a setting, MIS students’ high ambitions were outstripped only by their beyond-their-years achievements. Clearly, MIS was more than a school. It was a haven, where truly nobody waited to learn. The CRANE Promise Statement boldly claimed Midtown International School’s Category of One: Atlanta’s home for globally minded, gifted learners. Coupled with a series of “What happens when . 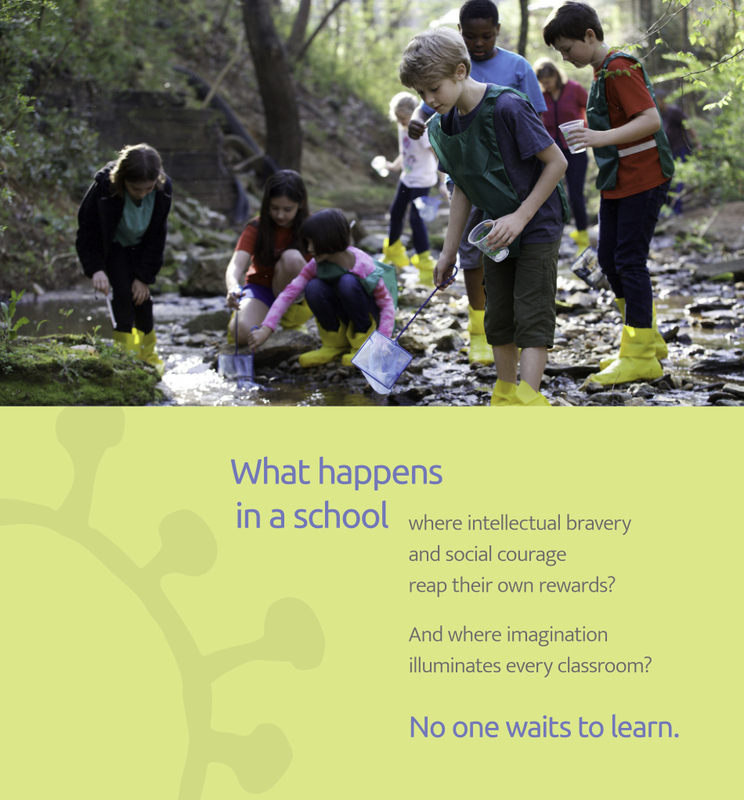 . . ?” questions that explained the unique pedagogy, teacher approach, and international aspect—and that ended with the summative answer of no one waits to learn—the new program simultaneously piqued interest while explaining the essential components of the MIS experience. Featuring new design that inserted evocative color and whimsical botanical artwork into the formerly gray-and-white school aesthetic, a new photographic library showing joyful learning in action, and a revamped website that tells the MIS story to those who know nothing about the school upon arrival, the program made an immediate splash. MIS leaders greeted the CRANE program with palpable enthusiasm, and began implementing the new concepts days—not weeks—after the presentation. Very quickly the new website launched while a colorful new visit piece quickly found its way into the hands of prospects. Meanwhile, MIS used the Promise Statement and positioning materials to help recruit a sought-after head of the newly launched upper school. And people across Atlanta quickly took notice. MIS was receiving four applications for each seat, filled their inaugural 9th grade class while adding 10th grade for the following year, leveraged robust fundraising into an impressive upper school build-out, and expanded the board in preparation for continued growth.